The "Fast Clamp" is the "Original"
The first triple clamp ever made for the xr/crf 50. 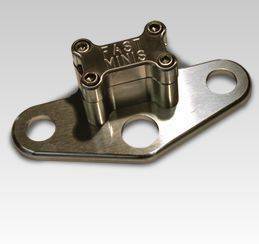 Made from aircraft grade Billet aluminum. Macined FastMinis logo on top. Holds 7/8 bar without slipping.